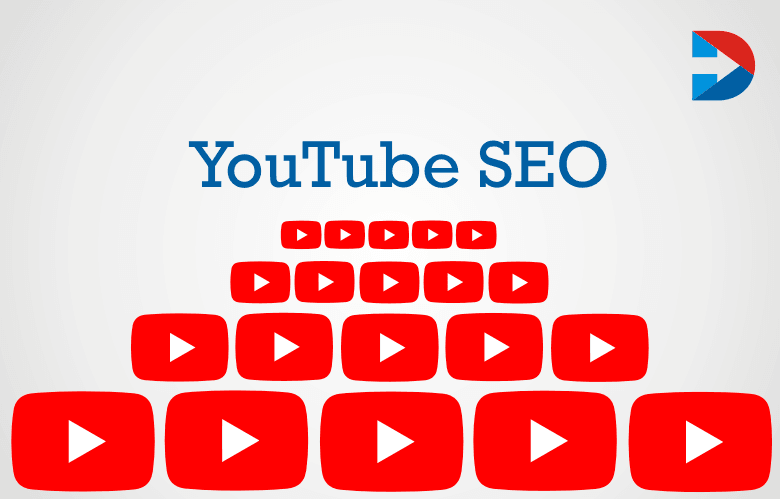 YouTube is one of the biggest search engines and is a significant source of traffic. More than thirty million people watch YouTube videos every day. Most of the marketers focus on driving traffic to their sites using SEO, AdWords, Facebook Ads, etc. but do not concentrate on YouTube. There is little awareness about how YouTube can help for video marketing and higher search engine rankings. The video is the optimal choice for many digital marketers as it proved to increase conversions by eighty percent and using the right sales video increases the intent to purchase by more than sixty percent. Using YouTube for video marketing and optimizing it can help attract more prospects at the top of the funnel. It also improves the search engine optimization rankings. The Most seeking search engine after Google is YouTube. There are many ways to grow SEO of YouTube – improving the search rankings within YouTube and getting it rank higher in other search engines such as YouTube. YouTube not used by most businesses which make this the ideal platform for companies for brand building. Generating views is not very difficult if some video optimization tips followed. Creating great videos does not need big budgets. Viral videos are created even with a smartphone. More free online video editors are available to make professional videos. The first thing that helps to improve YouTube SEO is to do a keyword search. Search for trending YouTube SEO keywords and include them in your video title, description, etc. Some of the popular keywords are how-to, reviews, tutorials, funny videos, etc. There are online tools that aid in keyword research. After finding the right keyword, create your videos with high quality. Most services and products marketed on YouTube do not let the marketers tell exciting stories. But a little creativity can help create exciting content. Editing is another important part in video production. It is necessary to pay attention to editing because high-quality videos are usually ranked higher. A good editing video can engage more people. It is essential to understand what criteria YouTube uses to measure the video quality and to rank the videos. Video retention – the more and the longer people watch it, the higher is the video retention. Subscriptions – how many people have subscribed to the YouTube channel after watching the video. YouTube analytics page gives the information of the YouTube criteria. The very goal of using video in marketing is to build the brand, increase awareness about the name and improve sales. Optimizing the YouTube videos can help get best possible SEO rankings and drive more traffic to the video and thereby to blog, site or YouTube channel. Filename – use the right keywords in the video filename. Description – search engine read the description written to know what is there in the video. Write the description in about two hundred words and include the target keywords. Also, place the link in the description to drive viewers to your site or blog. Tags – include few keywords in the tags to help the video to support YouTube show your video in the related videos section. Video drives 50% of Google organic page rank. YouTube Search Filters is a tool to check similar videos. It gives an idea of what is working for the top-ranked videos. Use YouTube Search Auto-suggest tool to find long tail keywords in your niche. To search for trending keywords, use SerpStat tool. It helps to discover the search terms that prospects are looking for and help to create videos that rank higher. Google Plus/Explore is a useful tool that shows relevant trends in the niche. Use the tool Vidiq to help build a loyal audience through YouTube. TubeBuddy is another extension that helps in to manage the YouTube channel. It offers promotional, optimization and management tools. YouTube video stimulates mobiles users to watch more than 40 minutes. To improve Google rankings, focus on link building. Encourage your viewers to like, comment and share the video. It gives Google the feeling that people like the video. YouTube ranks the videos based on some metrics such as likes, comments, shares, and subscriptions. To get more traffic, create playlists. Connect with right people through link building. Include a compelling call to action in your videos – this could be requesting people to share the videos, like them, subscribe them and so on. Guest posting, responding to the queries of people, answering questions on platforms such as Quora and placing the link there also will get higher subscriptions, views and helps for YouTube SEO. There is a difference between how search engines and YouTube rank the videos. YouTube depends on the video description and user engagement to analyze how people are responding to the video. People will respond to the video content that is easy to digest, is exciting and engaging. A significant amount of content uploaded to the second most significant search engine YouTube every minute. Getting the video rank higher is a tough job but not impossible. Pay attention to factors too like keywords, video titles, description, tags, quality, user metrics, watch time, thumbnails, closed captions, etc. to rank higher. Do not forget to focus on these things when you are creating a video for YouTube next time.